If you haven’t made eggs in your pressure cooker yet, what are you waiting for!? They come out light, fluffy, perfectly cooked, and best of all, you can set it and forget it. Frittatas are the ultimate rent-week meal: they’re quick, they’re so easy, and they’re cheap. They make a fantastic breakfast, or a perfect, warm dinner. 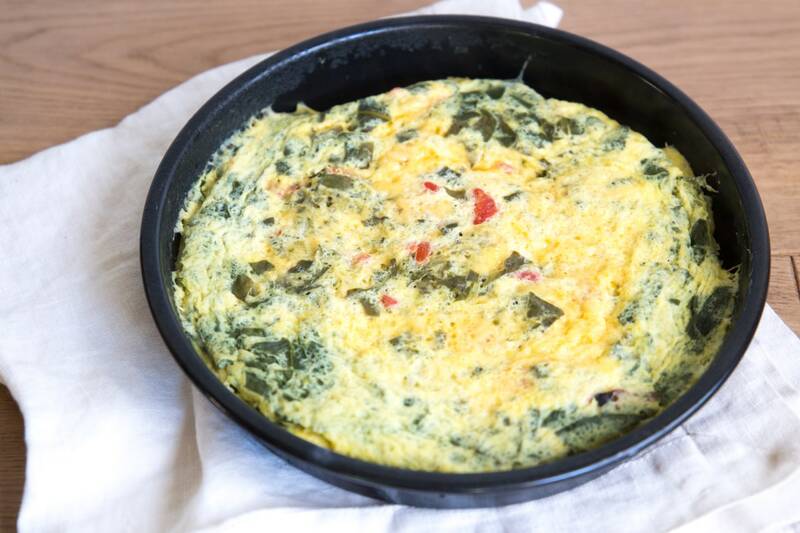 All you need are eggs, a bit of fat (we use cottage cheese here, but you can use yogurt, sour cream, milk, whatever you have on hand), and whatever scraps of veggies you have on hand, plus maybe some meat and cheese. Classic frittatas are made in a skillet, and they can tend to stick to the pan or over cook on the bottom. And there is nothing worse than overcooked eggs. 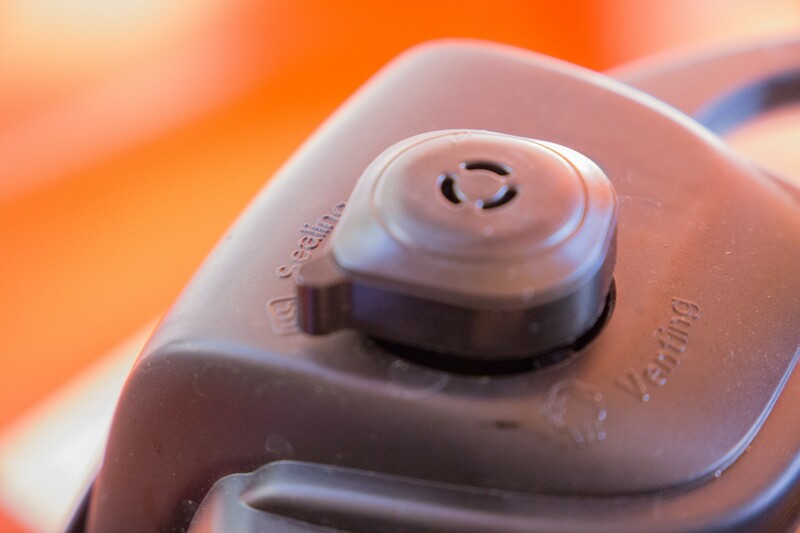 Enter: the pressure cooker. If you haven’t made eggs in your pressure cooker yet, what are you waiting for!? They come out light, fluffy, perfectly cooked, and best of all, you can set it and forget it. 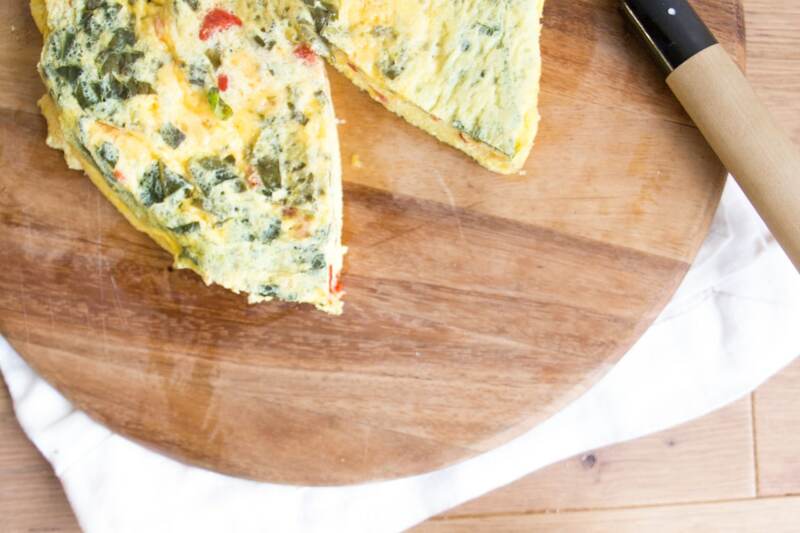 Try our Pressure Roasted Red Pepper and Spinach Frittata to get started! 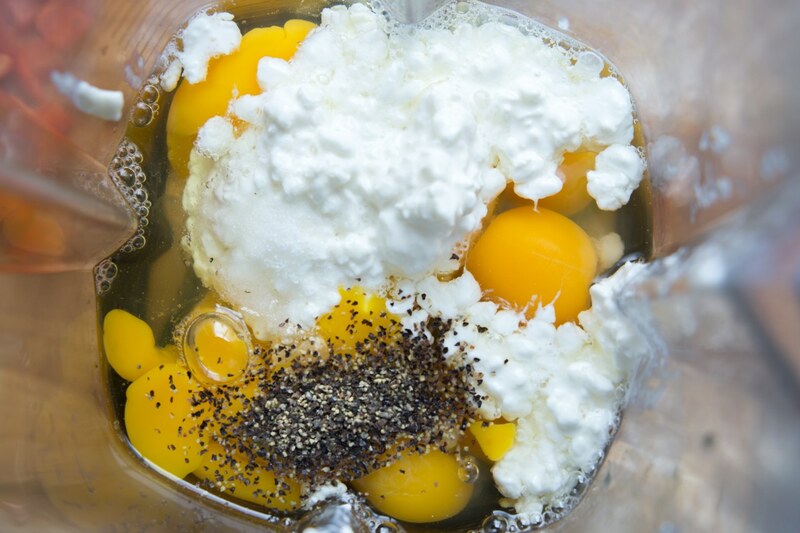 Crack 8 eggs into a blender. Add ⅓ cup full-fat cottage cheese. Unless you’re dairy-free, in which case you should use ⅓ cup of your favorite vegan yogurt (such as coconut or cashew). 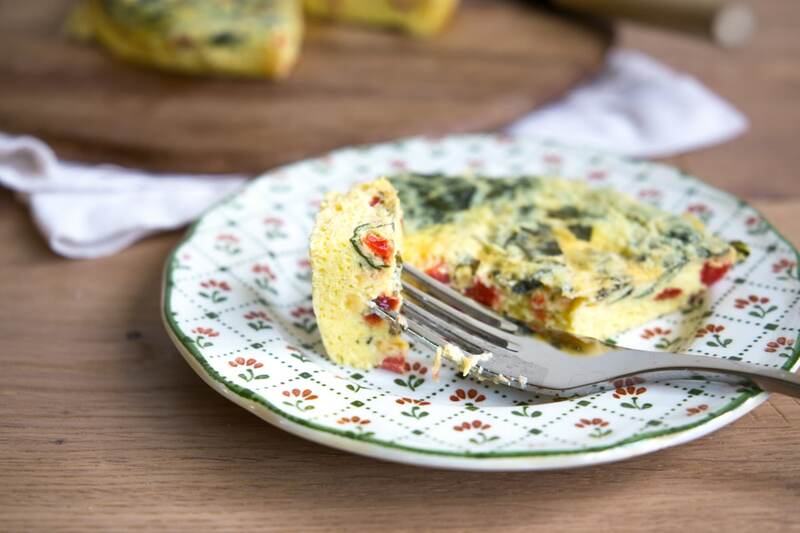 Frittatas need fat such as cottage cheese or yogurt to become moist. I like using cashew yogurt for dairy-free egg dishes. Season with salt and pepper. Blend until smooth. 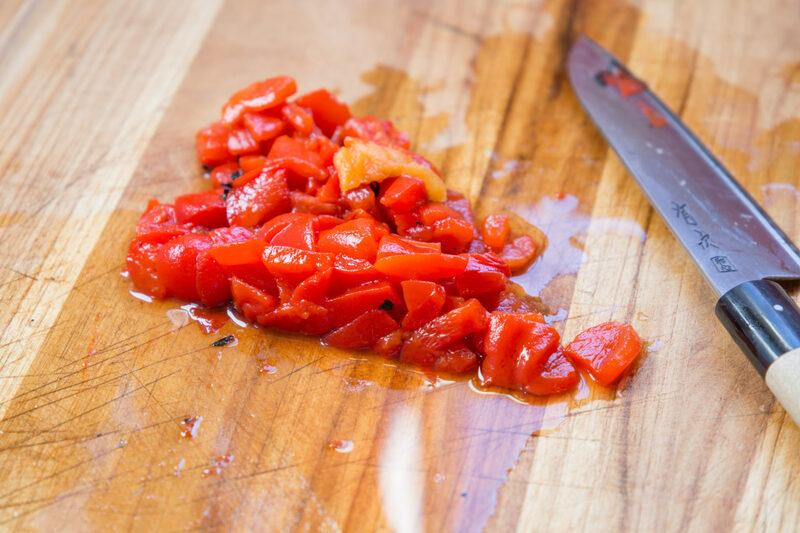 Chop 1 roasted red bell pepper (about ¾ cup), 1 packed cup of spinach, and shred 1 ounce of cheddar cheese. Or use goat cheese. Or gouda. Or use up whatever cheese has been hanging out in the back of your fridge for 2 months. You do you! 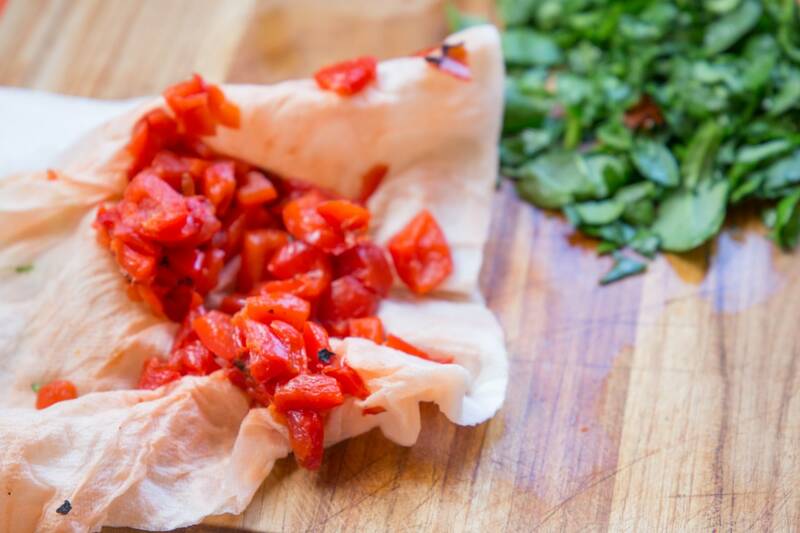 Use a clean paper towel to squeeze excess liquid out of the roasted red peppers. 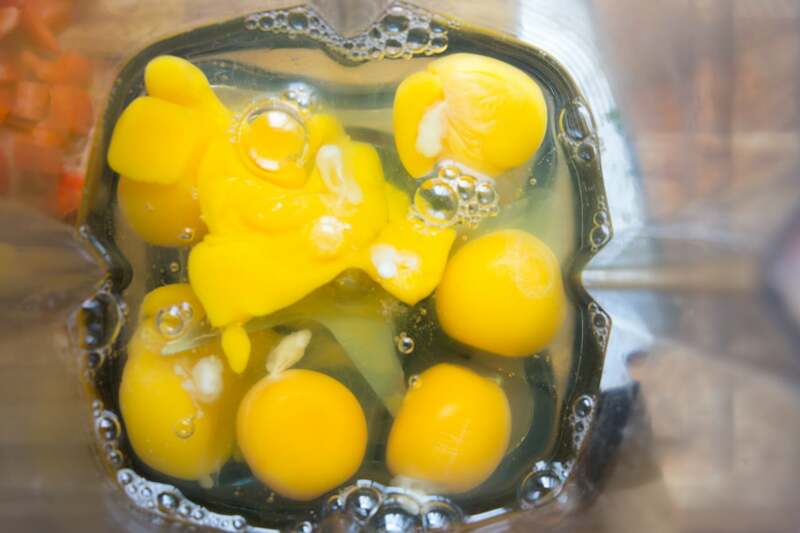 Otherwise, the extra liquid will seep out into our eggs and throw off our cooking times and the consistency of the frittata. Spray a 7 or 8 inch cake pan with non-stick spray. Add the peppers, spinach, and cheese. Pour the eggs over top. Stir lightly to combine. 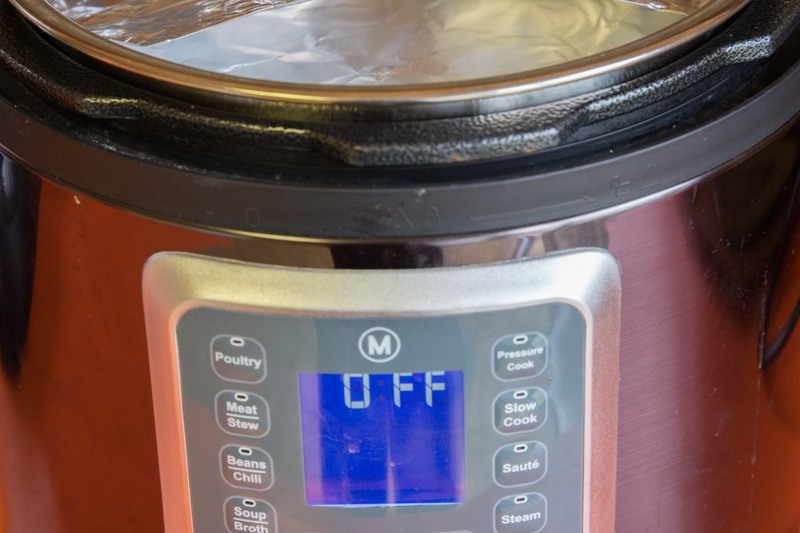 Pour 1 cup of water into the inner pot of your pressure cooker. Add trivet. 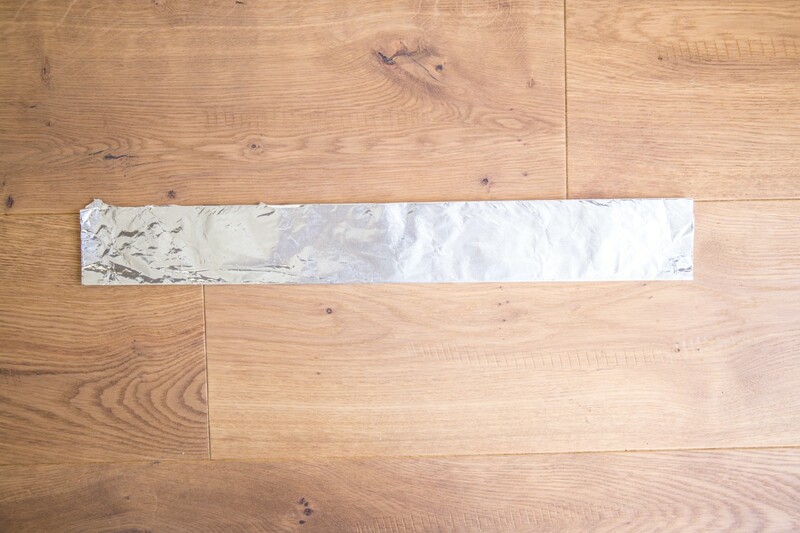 Create a foil sling. 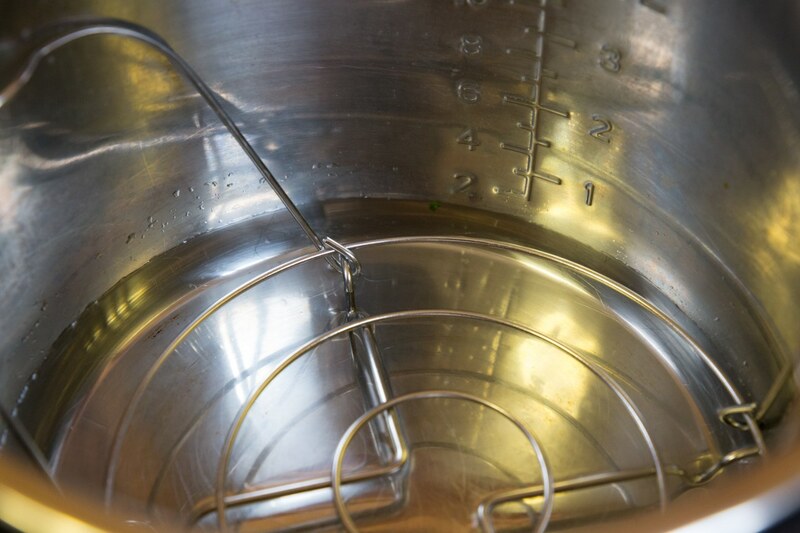 If you’ve never made a foil sling, this is basically a quick and easy contraption that will allow you to lower the cake pan down into the pressure cooker. Start by tearing off a 12 inch x 12 inch piece of aluminum foil. Fold it in half one more time! 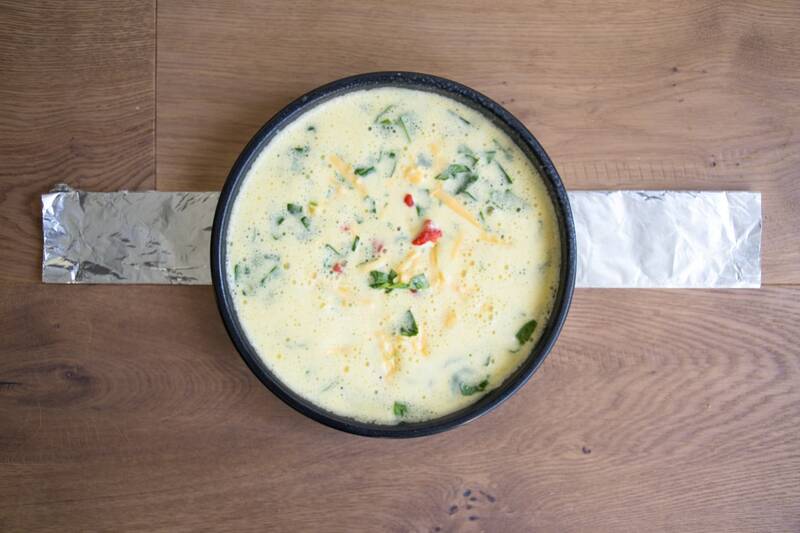 There, now it’s super sturdy to hold the weight of your frittata. 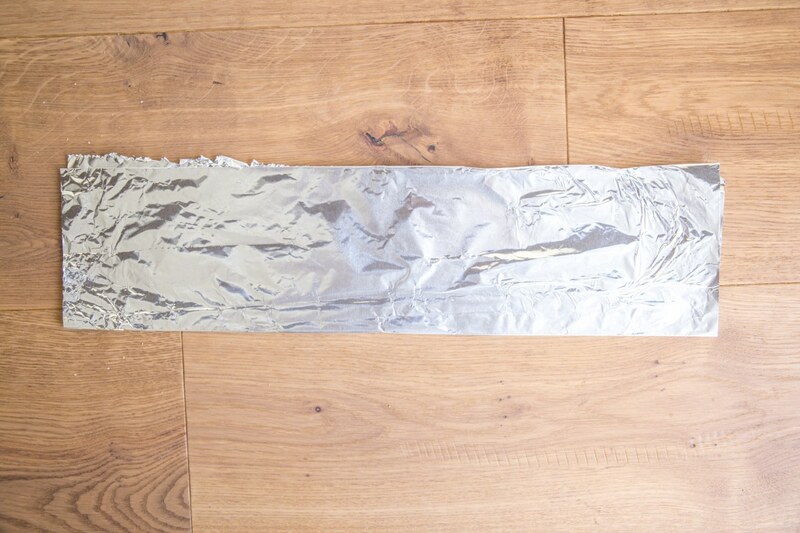 Place foil sling underneath the cake pan. Carefully use the sling to transfer the cake pan to the pressure cooker. It will rest on top of the trivet. 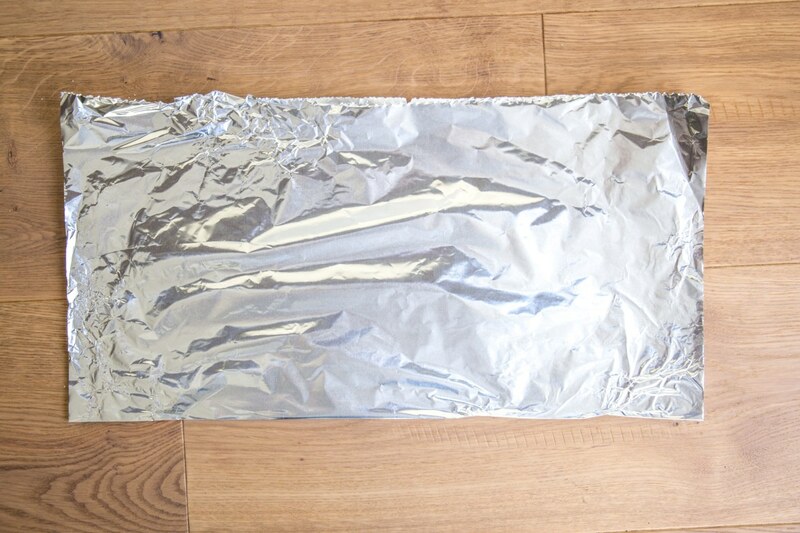 Tear off another piece of foil and use it to tent the top of the cake pan. “Tenting” basically just means that you want to cover the eggs, but you don’t want the foil to be touching them, or be close to touching them. The eggs are going to puff up as they cook, and we don’t want them to stick to the foil when they do. They need to be covered, though, otherwise condensation will drop onto the eggs and make them wet and soggy. Thus, tenting is the best option! 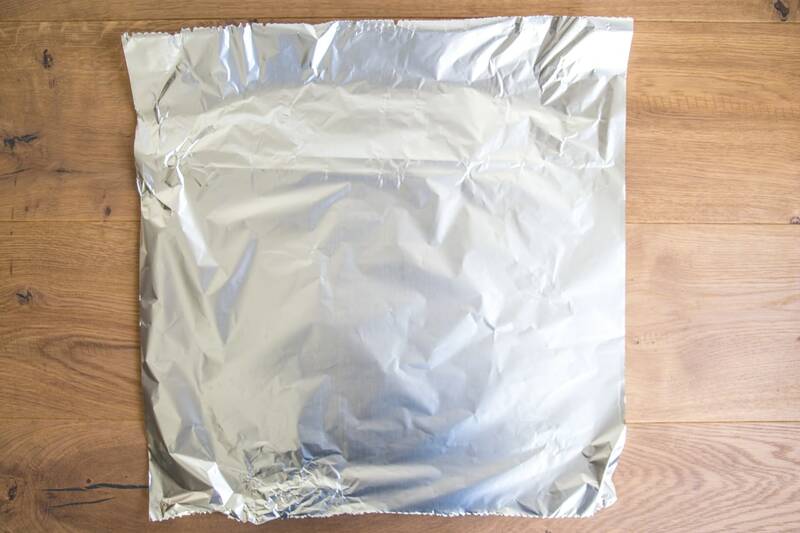 Fold the arms of the sling over the foil tent so that you can close the lid. 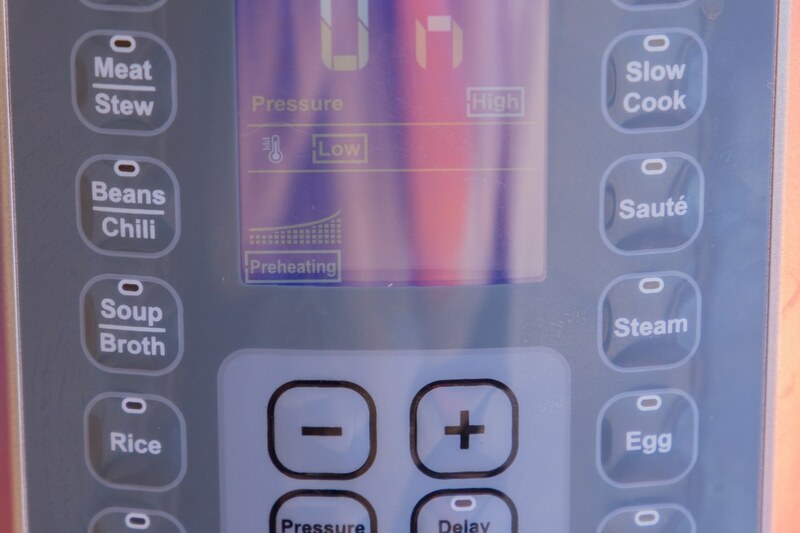 Pressure cook on High for 13 minutes. Natural pressure release for 10 minutes before quick releasing the remaining pressure. 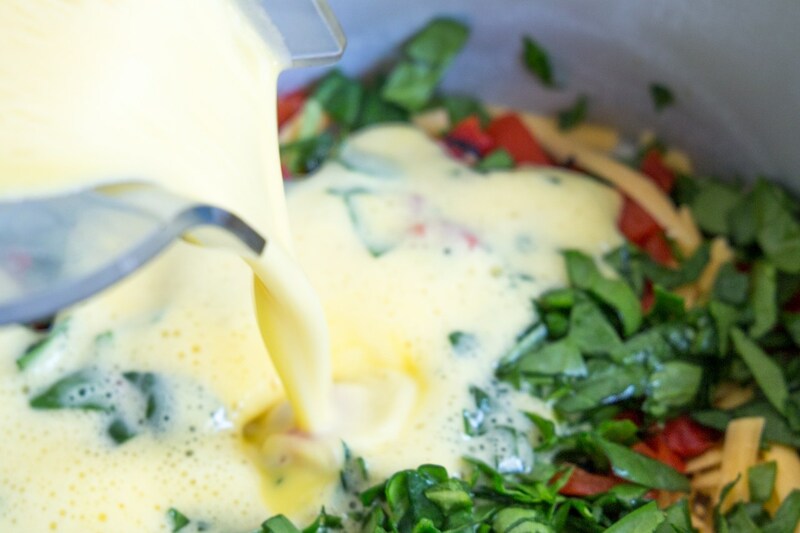 Run a paring knife along the edge of the pan to release the frittata from the pan. Slide it onto a platter. Garnish with fresh herbs if desired. Slice it up and enjoy! I like to serve my frittatas with something saucy - like pesto, salsa, or hot sauce. I also love serving frittatas with a really simple salad tossed in a mustardy vinaigrette. Want to see this on a recipe page? Check out the full recipe here.